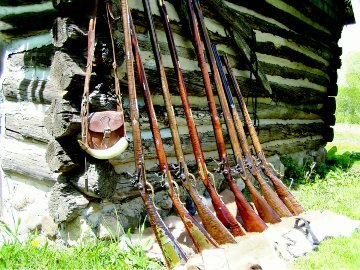 Craftsmanship is a Big Concern at Pecatonica River Long Rifle Supply. We are located in a small midwestern city that prides itself on precision. Rockford, Illinois, is a machine tool center that got it's industrial start in the fine furniture business. 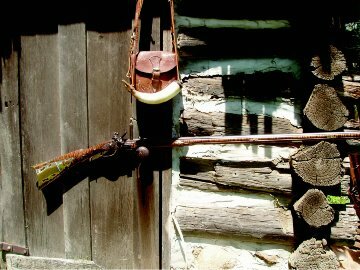 It's early settlers were craftsmen concerned about shaping fine wood. Later they turned metal into machinery for parts in early aircraft and autos. Many of the descendants of those early craftsmen are still around, working with fine wood and modern metals. They maintain the same high standards. We don't build, sell or buy anything that does not reflect quality and those traditions of craftsmanship. Our company offers top-quality goods at prices black powder shooters can afford. We stand behind our products and won't sell anything we haven't tested and wouldn't use ourselves. We sell to our friends and are reliable. Muzzleloading takes a special kind of person to really enjoy the sport. It calls for an appreciation of our heritage and traditions. Craftsmanship is one of those important traditions we want to help keep alive. 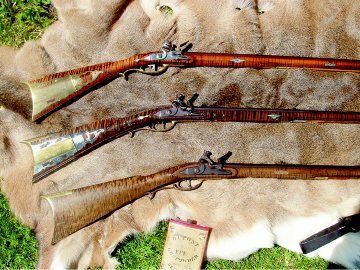 Black powder shooting is like holding history in your hands, your firearm should reflect the quality of our heritage. We'd like to help you do it right. Our intent is to produce a product better than you expected. Our standards are high. We try to provide wood which has been graded fairly and free of chips, cracks, knots, checks, rot or weak spots. We do not consider a slight mineral stain a defect, as most are completely unnoticeable on the finished gun. We try to use good judgment in the customers' favor in selecting their stock. We guarantee your satisfaction. If you are in any way not satisfied, simply notify us at once, within 10 days, for shipping instructions for replacement or full refund. Guarantee is void if stock has been carved or inlet in any other way than it was received and may not be returned. Also, we have no control over hidden defects. We are proud of having very few returns or adjustments since we usually provide more than we promise. We enjoy an excellent reputation and we intend to keep it! Contact us Copyright © 2014, Pecatonica River Long Rifle Supply, Inc. All rights reserved.